A Rowney Green photographer will see his work gracing the walls of Bromsgrove’s Artrix in a new exhibition this winter. 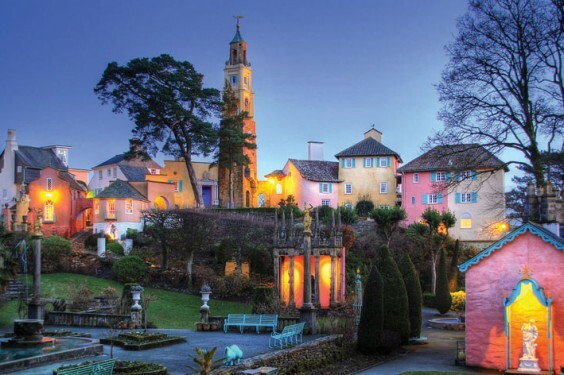 Tim Richmond, a freelance photographer specialising in theatrical and event photography, portraiture, architecture and landscapes, has captured the colour and magic of the North Wales village of Portmeirion in a collection entitled Portmeirion Out of Hours. The exhibition will be on display in the Gallery at Artrix from Wednesday December 7 to Sunday January 8. Portmeirion, designed by Clough Williams-Ellis, is famous as the setting for the original version of television series The Prisoner, and is a favourite port of call for many visitors to the area. Clough built Portmeirion to show how you could develop a naturally beautiful setting without spoiling it and that with sufficient skill and care, good architecture can actually enhance the natural environment. As the name suggests, most of Tim’s pictures were taken “out of hours”. When the day visitors have gone home and the sun begins to set, the village takes on a whole new life of rich colours and deep shadows. Early winter mornings reveal the brilliance of the architect’s work as the sun reaches across the estuary, illuminating the brightly-coloured buildings. The perfect light can last for only a few seconds and repeated trips to the same spot were often needed to capture the magical look. Many of Tim’s shots are taken from viewpoints not accessible from public areas, bringing a new perspective to the viewer.